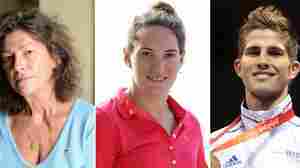 March 10, 2015  Swimmer Camille Muffat, 25, boxer Alexis Vastine, 28, and sailor Florence Arthaud, 57, had widely different backgrounds and personalities. They had been filming a reality TV show. March 5, 2015  Sandra Arroyo Salgado, Alberto Nisman's ex wife, commissioned an independent forensic investigation she says dismisses the possibility that his death was a suicide or an accident. February 26, 2015  The judge ruled prosecutors' claims against President Cristina Fernandez de Kirchner failed to meet standards for an investigation. 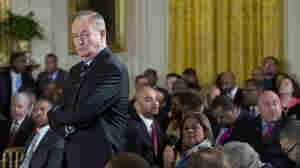 She was accused of covering up Iran's alleged role in a bombing. February 21, 2015  The shooting death of Argentine prosecutor Alberto Nisman has all the hallmarks of a Hollywood thriller. 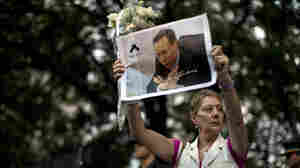 It has provided rich material for the conspiracy-minded in Argentina. February 15, 2015  NPR's Jasmine Garsd, then 9 years old, was just down the street when Israel's embassy in Argentina was blown up in 1992. 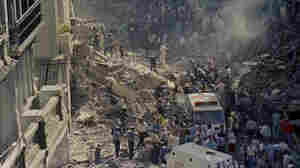 It was one of several traumatic events the country has been unable to resolve. February 5, 2015  Argentina's Secretary General of the Presidency, Anibal Fernandez, says Mia Farrow's statement about a controversial case is a "consequence of either misinformation ... or lack of it." 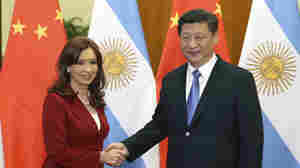 February 4, 2015  President Cristina Fernandez de Kirchner appeared to suggest the Chinese have trouble pronouncing their R's and L's — using the words "rice," "petroleum" and "Campora" as examples. February 3, 2015  The prosecutor investigating the death of Alberto Nisman denied the arrest warrant existed. She changed her story today, adding further proof of a tense relationship between the president and Nisman. 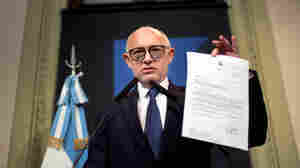 January 30, 2015  In an exclusive interview with NPR, Foreign Minister Hector Timerman says he met Iranian officials as part of the effort to find out who was behind the 1994 bombing of a Buenos Aires Jewish center. January 29, 2015  The mysterious death of an Argentine prosecutor has renewed scrutiny of the country's Intelligence Secretariat, which conducts domestic surveillance on a scale reminiscent of the former Soviet Union. 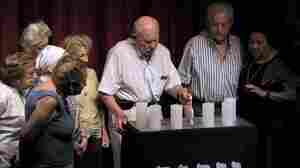 January 27, 2015  On a day usually filled with quiet reflection, the Jewish community spoke out forcefully against the president for her handling of a 20-year-old bombing case that remains unsolved. January 26, 2015  A week after an Argentine prosecutor was found dead on the eve of his testimony about an alleged government cover-up of a terrorist attack, President Cristina Fernandez unveils a new plan. January 23, 2015  Alberto Nisman, who accused the Argentine leader of covering up Iran's role in a 1994 terrorist attack, was found shot dead in his apartment on Sunday.